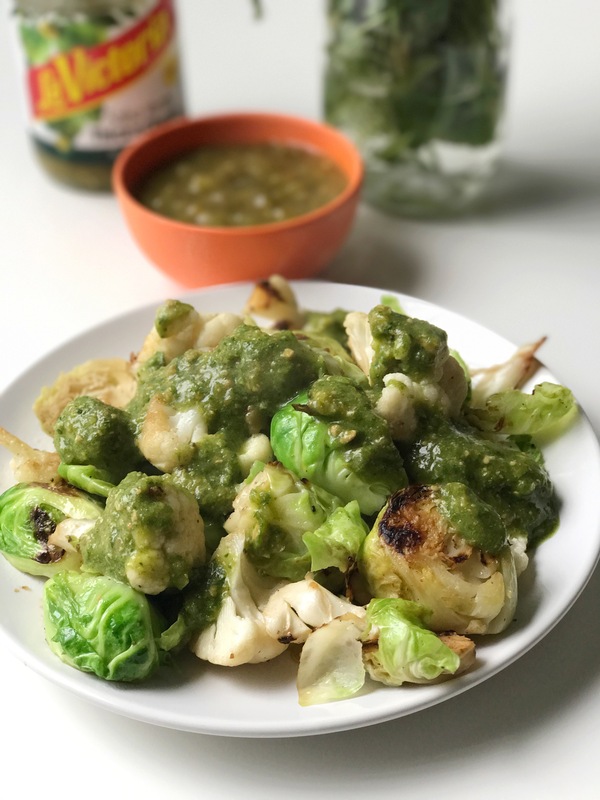 Blistered Brussels and Cauliflower, 100 Years of West Coast Flavors and More! Living in Southern California means there is always good Mexican food around. One fact about me is that I love all my food saucy! 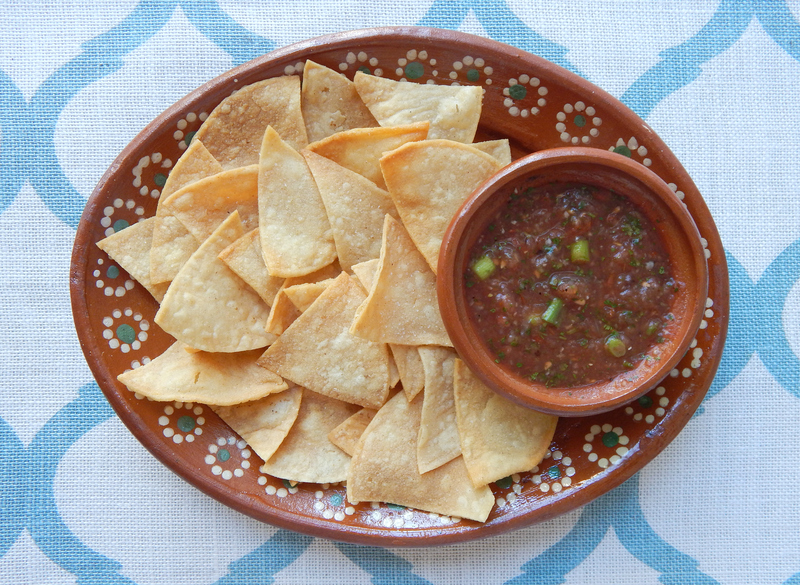 The more sauce, salsa and dips the better. 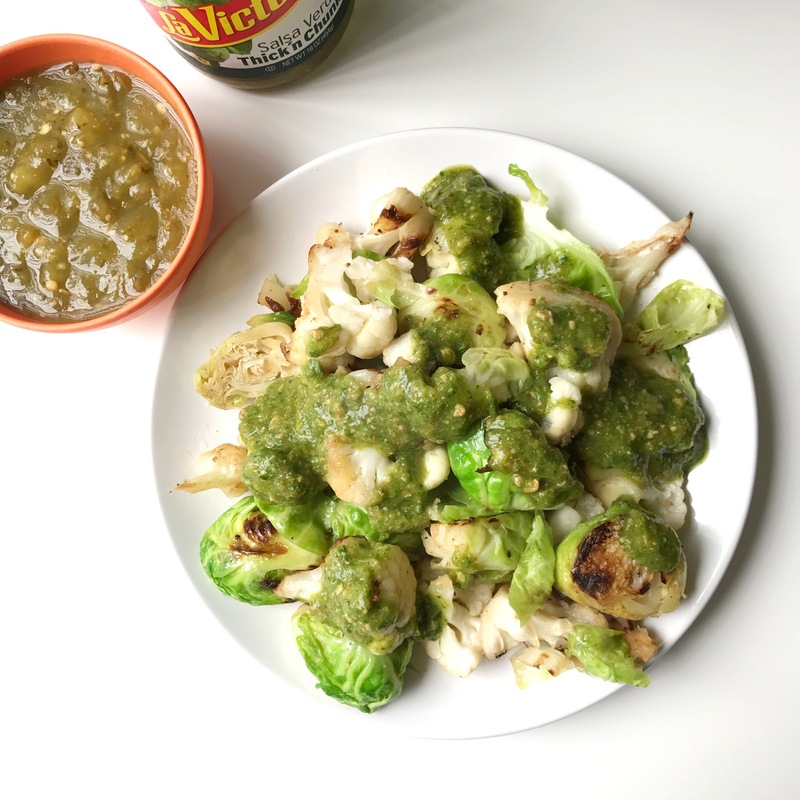 In this post I am sharing three tasty and saucy recipes I recreated from the makers of LA VICTORIA® Brand. Their salsas take on the bold and unique flavors of the West Coast, and I am loving them. LA VICTORIA® is celebrating 100 years with exciting events in Los Angeles and San Diego which you can be a part of! Have I mentioned that I love spicy foods? Oh, only a hundred times? Okay, good. Let’s move on! I made a michelada loca, a Mexican beer cocktail that includes all of my favorite Mexican goodies. Hot sauce, lime, chamoy, chili powder, spicy Mexican candies. The list goes on. This dish is cooked in one skillet in less than thirty minutes, it only requires four main ingredients and it is inexpensive to make! This tuna salad is the bomb. Last weekend was my sister’s baby shower! We had a big family party to celebrate the parents-to-be and little baby Olivia. 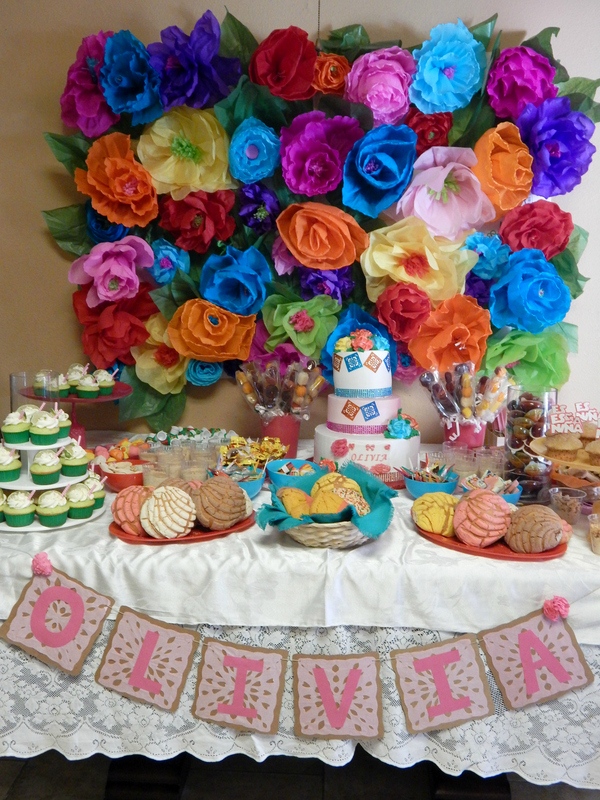 The party was Mexican themed with vibrant colors, handmade paper flowers and lots, I mean lots of delicious Mexican food. I am sharing all of the little details and the food here with you today! 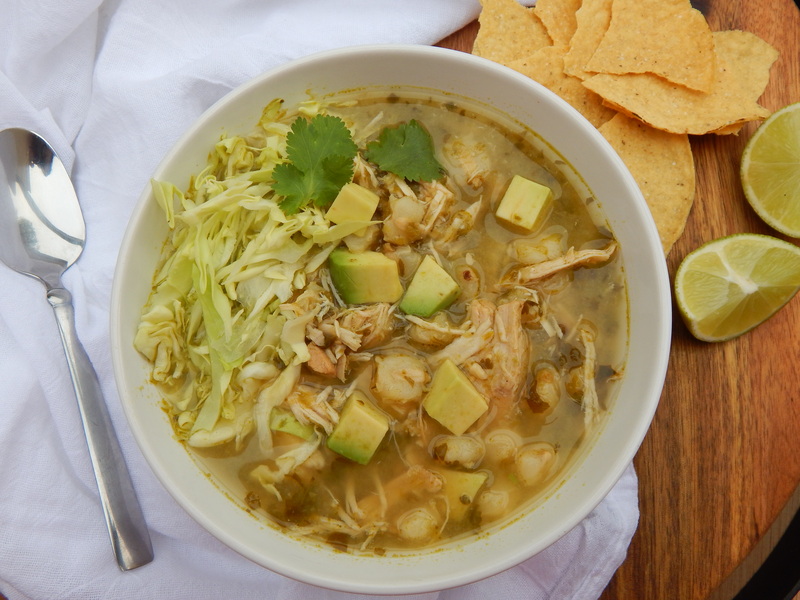 Have yourself a merry little bowl of the easiest Slow Cooker Chicken Pozole Verde ever!